The next Fine Art Auction at Pundole's will take place on 22nd November 2018 in Mumbai at 7.00 pm . 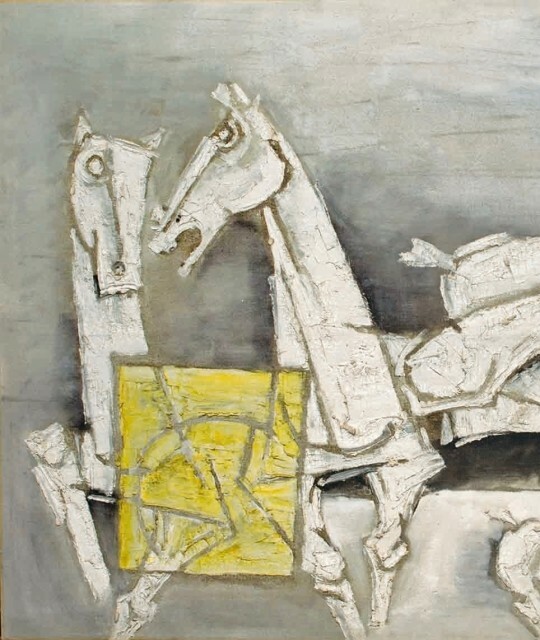 The sale will include a wide variety of paintings and sculptures created by the masters of Indian Modernism. The auction will include works by M F Husain, S H Raza, F N Souza, and Akbar Padamsee to name but a few. Also featured in the sale are works by the leading artists of Bengal including Gaganendranath Tagore, Rabindranath Tagore, Jamini Roy and Kshitindranath Majumdar . The later generation of Bengal artists is equally well represented by works from Ganesh Pyne and Jogen Chowdhury . For further information visit www.pundoles.com .